Dr. Heyvaert is a limnologist at the Desert Research Institute with professional experience in a variety of aquatic ecosystems. 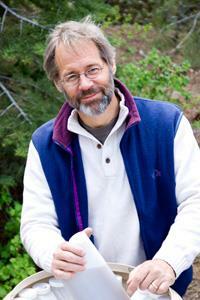 His fields of interest include biogeochemistry, paleolimnology and watershed management. He has worked for many years on water quality issues in the Lake Tahoe Basin, with an applied research focus on the effective design of stormwater monitoring systems and performance evaluation of Best Management Practices (BMPs). During this time, Dr. Heyvaert has also contributed to the continuing efforts of resource management agencies at Lake Tahoe to coordinate their research and monitoring programs. He is an active member of the Lake Tahoe Interagency Monitoring Program and has been a principal investigator for the Tahoe TMDL. As a biogeochemist, Dr. Heyvaert is particularly interested in nutrient budgets and mass balance models for watershed management. He has developed numerous research projects and directed studies on nutrient and pollutant loadings to lakes, rivers and reservoirs in the western U.S. and South America. His technical interests include nutrient chemistry, elemental and stable isotope analyses, radionuclide chemistry, and geochemical biomarkers. In the field of paleolimnology he has investigated historical patterns of change in lakes and watersheds of the Sierra Nevada and the Great Basin. These studies have included Lake Tahoe, Pyramid Lake, Walker Lake and Mono Lake, where his research has focused on ecosystem response to anthropogenic impacts and changes related to the Holocene paleoclimate.